Chaparral Plumbing was founded in June of 1982 by Charlie and Darlene Jones. 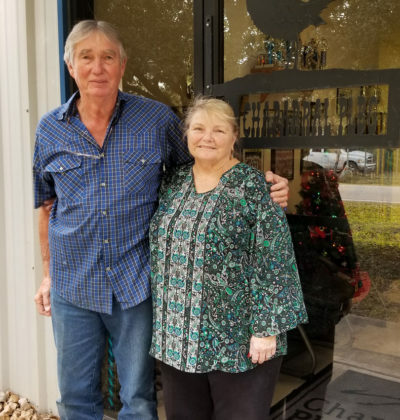 Both Charlie and Darlene had been working in the plumbing industry and had numerous years of experience before opening Chaparral. Combined with a number of key employees Chaparral has been an ongoing successful business for 40 years. Early on, Charlie was approached by the management of a tract homebuilder about taking over several of their communities. With that opportunity, Chaparral was off to a tremendous start. Charlie signed a contract, bought three trucks, and began installing plumbing systems into new homes. Chaparral has a history of long term contracts with builders in Houston and its surrounding areas. Chaparral has been fortunate to maintain experienced personnel, some with more than 40 years of experience in the plumbing industry. With over 100 employees, the combined experience spans decades. The longevity of contracts and employees is a testament to the commitment Chaparral has given to quality and caring about its reputation as a new home construction trades company and as an employer. Chaparral Plumbing’s guarantee is proven by the long history of repeat business from our builders. Chaparral Plumbing did not grow from advertising but rather from reputation and word of mouth. Our guarantee is that we will be here to service the system we install and take care of any warranty problems that may arise for years to come.